Few days ago Bit Torrent presented its new application called "Sync" that acts like a web storage with an opportunity for peer-to-peer sync files across multiple computers. The service is still in an early alpha stage but it is available for testing. Sync obviously has serious competition in Dropbox, SugarSync, Google Drive, Apple iCloud and a bunch of other web storage clouds of larger or smaller companies, but it have better prospect from others as the service can be promoted through BitTorrent and uTorrent clients which have more than 170 million active users. This is the second new service that BitTorrent represents a period of only two weeks. Previously presented plugin for Chrome, called Surf, through which you can download torrents directly through the browser. 1. Free download, use and support. It's free to use and as the website has forum you can find support and help there, or help others. 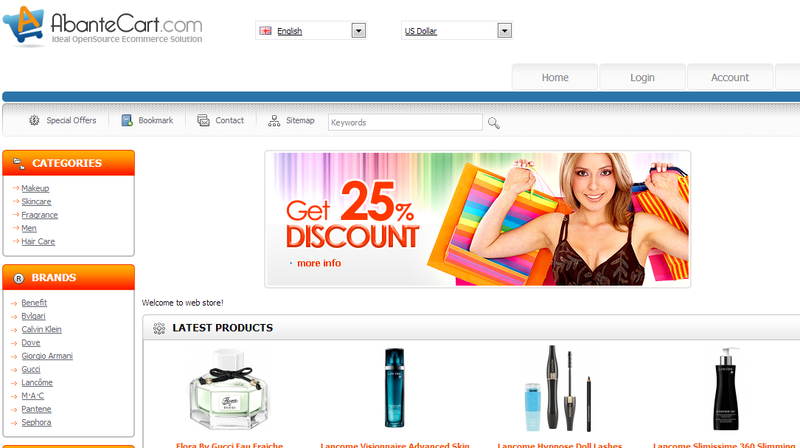 With AbanteCart you can easily start selling products online. You don't need to have experience in e-commerce, or take training and watch tutorials. You just need basic computer knowledge. Also the various tools in the control panel make AbanteCart easy and fun to use. AbanteCart is very versatile application, you can set it in any way that you want, in order to achieve best sales and with the growing number of extensions you can develop your shopping cart. Not only that is easy to use and organized, AbanteCart is also fast and secure. The app is also 24/7 monitored for performance and security. There are no limits on the size of your product inventory, number of customers, traffic limit or any other limitations. You can customize your AbanteCart as you want. - comply with free OSL 3.0. - Curl or fsock support. One design company from Switzerland created iRock, swinging chair on which you can charge your iPad. Creators of the idea are Micasa Lab, from Zurich, claim that this rocking chair provides a different atmosphere - stand for iPad on the right side and speakers on the back of the chair, but not only this makes the iRock a special chair. When you swing, the generator transforms every movement into energy. "If you swing on the chair for 60 minutes, you can charge your iPad for 35%," people from Micasa Lab are saying. They also added: "iRock chair is improved version of the traditional swinging chair. The dock for iPad and the sound system are added elements." iRock is hand made from Swedish pine and is sold in five colors. The price is $1300. Hightechholic.com is going to present you another useful app, this time for helping you in prescriptions and pharmacy search. It is build only for the US market. 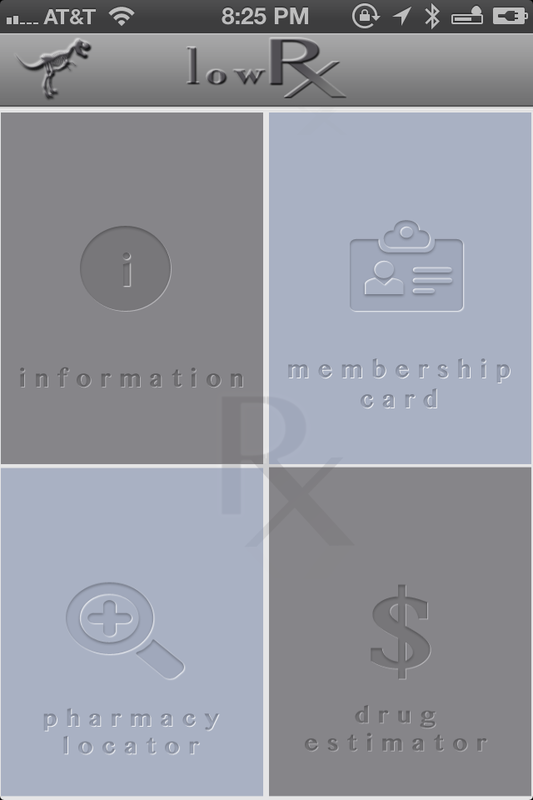 LowRx Discount Prescription Card is a medical app, produced by Group Net LLC, which is free and available on App Store. - Free coupons to over 56.000 pharmacies nationwide. Yes, this is amazing as it sounds, and you'll get it free and with no sign up. Thus, you can save up to 75% in your next prescription at any US pharmacy, just using this app. As, no sign up is required, you'll need to download a pass to your passbook and show it to your pharmacist’s assistant at your next visit. You can use it as many times as you want and there are no additional costs. - Drug estimator, a medication pricing tool which you can use when you want to know how much will your prescription cost you. - Pharmacy locator, which will help you find the closest pharmacy in any US city, and not only that, the app will provide you with: address, directions to get to a certain pharmacy, and phone to contact them. App is relatively new and is compatible with almost any Apple device with iOS 5 or higher. Also, the app is fast, easy to use and simple. Don't hesitate to download it if you use prescriptions, or visit pharmacies, frequently, because it will save you time and money! Today, Nikon unveiled the company's new range of products that are coming soon to the domestic market. 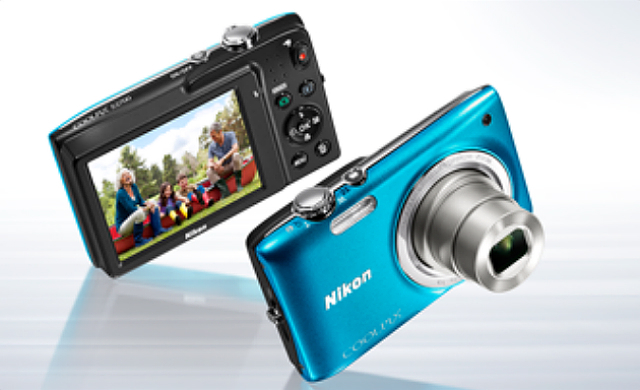 Nikon has expanded COOLPIX compact cameras with two new models, S6500 and S2700. The S6500 features built-in Wi-Fi,16-megapixel CMOS sensor and wide angle NIKKOR lens with 12x optical zoom. Wi-Fi connection allows quick transfer of files over the Internet. Camera S2700 possesses wide angle NIKKOR lens with 6x zoom, resolution of 16 megapixel, 6.7 cm (2.7 inch) LCD screen with anti-reflective coating and HD (720p) movie recording. The compact Nikon 1 case for scuba diving is a new feature, which will allow users to take photos underwater. There are also two new models - the Nikon 1 J3 and the modern Nikon 1 S1 - the first model of the new S-Series. Both models use the same technology, Nikon 1 second generation, intended for experienced users. The company unveiled the next generation of smart functions, such as controlling the display of live images, recording the best time, and wireless transfer of images with optional WiFi dongle. Two new 1 NIKKOR lenses expand the range at different ends of the spectrum. The first, 1 NIKKOR VR 6.7-13mm is an ultra-wide angle lens and the second, 1 NIKKOR VR 10-100mm is a powerful zoom lens with a 10x zoom. Both possess the Nikon's lens system to minimize vibrations that corrects blur, so the static images are clearer and the pictures are more uniform. About a month ago photos and specs of the amazing Sony Xperia Z (Yuga) leaked on the web, but yesterday on a press conference on CES, Sony officially revealed the specs and pictures of this stunning smartphone. 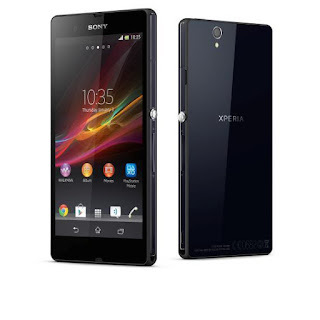 Despite having a "gigantic" 5 inch screen, Xperia Z will be relatively lightweight (146g) and easy to manage with just 7,99 mm thickness. The 1080 HD Display (1920 x 1080) includes Reality Display TV tech and Mobile Bravia Engine 2, which will give more realistic color than most of the AMOLED smartphone screens. The pixel density of 443 is stunning, so you can enjoy your favorite TV shows in a very sharp picture. Sony is planning a global launch in the first three months of the year, but initial focus will be Western Europe. 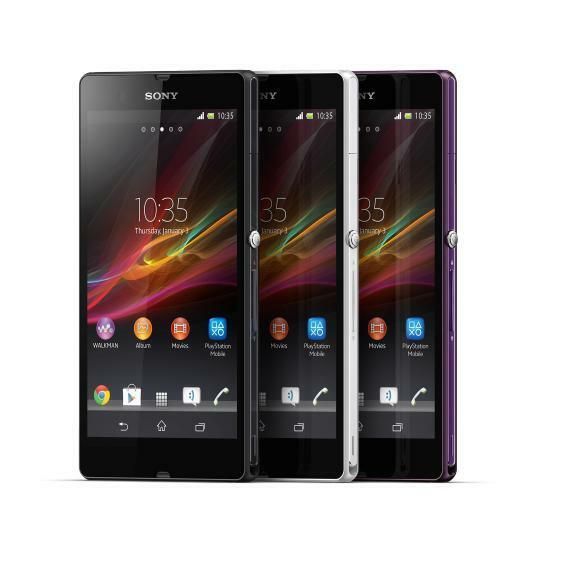 Price is not yet know but Sony will offer Xperia Z in 3 colors: black, white and purple. Traveling to Singapore? TheSmartLocal is all you need..
Hightechholic.com is not only about hardware, software and things connected to technology, but it is also about Internet and helpful web sites. Today we're going to present the excellent Singapore based start up, TheSmartLocal. This website will give you tons of quality and helpful Singapore reviews. The reviews are not only aimed to the tourists of this great city, but also to the people who live in it. For now, there are over 11684 reviews written, so basically everything you need to know about Singapore is here, you'll just have to find what you want to know. Unique apps are always hard to find. So we found one for you. It's the fun iPhone app CogniFit MoodCraft. What is CogniFit MoodCraft? 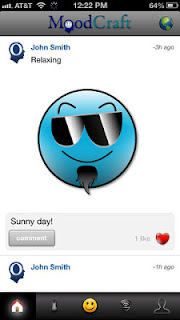 It's an app that lets you create your own moods and smileys, which later you can share with your friends. Another cool thing you can do is tagging your friends. Through this you can show them how you feel at that particular moment, or you can tell them what you feel for them at that moment. If you think about it, this can be really fun. 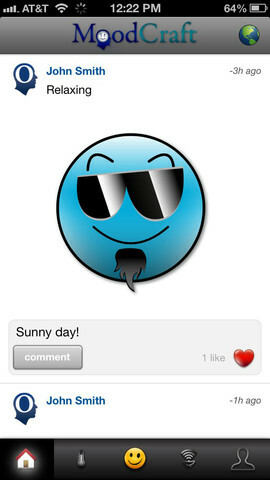 If your friends also use this app, you can find out what they feel about you in a certain moment and have fun with it. App is easy and enjoyable to use. There are many emoticons and "accessories" that you can use in order to make some creative and unique emoticons. This app requires iOS5 or higher and it's compatible with iPhone 3GS, iPhone 4, iPhone 4S, iPhone 5, iPod touch (3rd generation), iPod touch (4th generation), iPod touch (5th generation) and iPad. But is also optimized for iPhone 5. The app is only 24 days old, has about 20 positive ratings and belongs to the category: Social Networking. 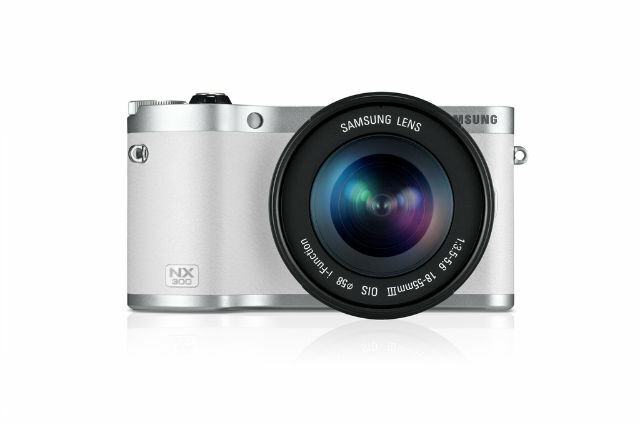 Samsung Electronics announced launching of NX300, new model from the NX series. So we decided to do review of NX300. This model sets new standards in the category of compact camera system (CSC), as it offers an outstanding combination of function and style for the perfect shot. Samsung has presented the lens NX 45mm F1.8 2D/3D, the first 3D system with a single lens that can make real photos and high-definition video footage in perfect 3D quality. The main factor in the excellent performance of the NX300 in taking pictures is the completely new APS-CMOS sensor of 20.3 megapixels, which can take high-quality photos with lots of details. Photos have sharpness, colorfulness and clarity in all lighting conditions. Wide ISO range (ISO 100-25600) additionally improves the performance of this device because it allows users to make extremely balanced images even in the worst lighting conditions. Brand new Hybrid Auto Focus (AF) system also offers fast and accurate phase detection and contrast, and shutter speed shutter of 1/6000 sec ii speed of 8.6fps mode with the option for continuously taking pictures will allow you to never miss an important moment. Technology DRIMе IV has achieved incredible progress in the areas of speed and image quality. It provides better color reproduction and better noise reduction, as well as support for recording HD video recordings full 1080p HD in both 2D and 3D format (when combined with Samsung's new 45mm lens 2D/3D). The 84mm (3,31") AMOLED screen turns filming and viewing pictures in a pleasure, because the hybrid touch-sensitive screen and automatic main interface with five options are very simple and intuitive to use. The tilt display makes high and low angle filming easier than ever before and allows you to easily capture your world from every angle. The compact camera NX300 enables everyone to take photos that will look professionally and impressive, quite easily, with minimal technical knowledge or time spent on the setup parameters. Using Smart mode, users can choose between 14 different settings, such as Creative Shot, Landscape, Light Trace and Freeze Action that will automatically adjust parameters such as aperture and shutter speed aperture in order to get the best shot in a given situation . NX300 device possesses both the option i-Depth, an easy and simple way to adjust the picture by using a single-function systems and devices from NX Series that allows user to modify the parameters of the camera using the lens, adjusting the image without taking his eyes from the target. The famous design of NX series is also present in NX300, which possesses an elegant, authentic and simple retro design offered in two colors, black or white, with contrasting silver stripes. The Wi-Fi connectivity of this smart camera enables users to exchange their precious photos as soon as they photograph them, and to do it by establishing a connection between your device and a smart phone or tablet. 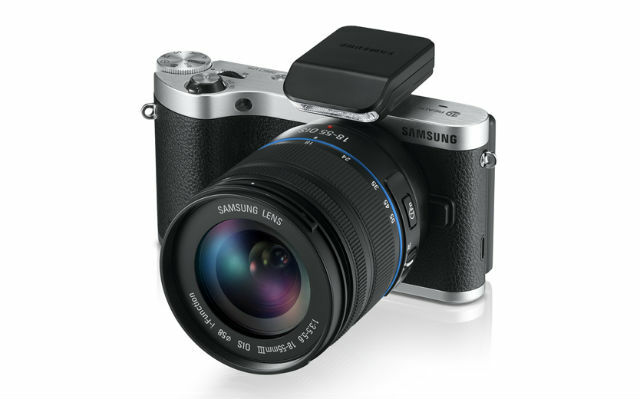 In order to connect your smartphone with a camera, users need to download the Samsung SMART CAMERA App. NX300 will be able to detect a smartphone and to connect with him whenever any function of SMART CAMERA option are activated. These functions include: AutoShare, which automatically sends all high-quality photos on your smart phone that will keep them and Mobile Link, an option that allows users to select and transfer photos or entire album directly to your smartphone whenever it suits you. 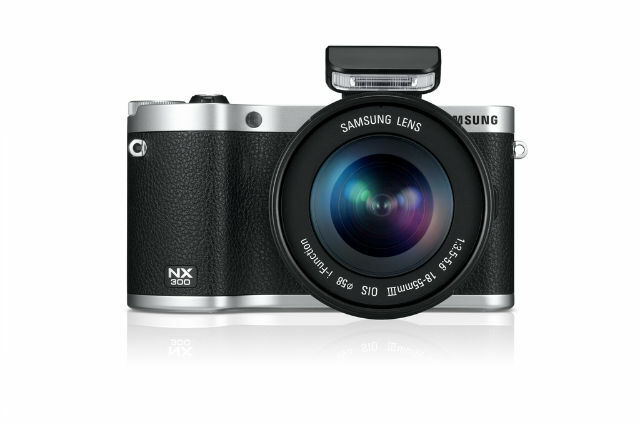 Application SMART CAMERA App also offers the function Remote Viewfinder for NX300, which allows users to take pictures in more imaginative and exciting ways. 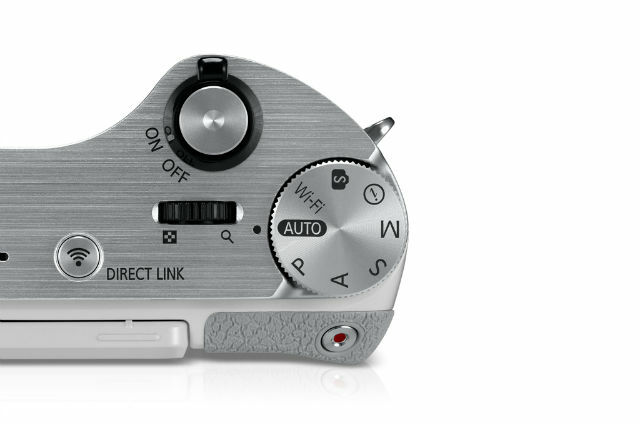 The Wi-Fi connectivity also allows users to exchange photos with family and friends, directly from the camera to social networking sites at the touch of the button DIRECT LINK. Alternatively, images can be automatically supported or stored in the cloud via the AllShare Play, and the contents will thus always be safe and easily accessible. This time we did review of CogniFit, another useful website, about Brain fitness and training. You can use it in order to improve your brain and mental skills. It is confirmed that such applications and games can improve your brain, and CogniFit did an excellent job in terms of number of games, individualized training, various options and easy and simple use. First step is logging in, which is very easy, as you can connect via Twitter or Facebook account and just add your e-mail. Then you have profile on the site, which is very neatly organized and offers interesting options. On the left side there are life tips with various tags, such as Intelligence tips, Everyday life, depression etc. Bellow that section, there are people you may know and you can connect to them through CogniFit. There are 2 main categories on your dashboard: Training and Assessment. Training offers 10 different states of mind for which you can prepare, actually this personalizes your brain training. For example, if you feel stressed, first you have to tell CogniFit how stressed you are (from 1 to 10) and then according to your stress level CogniFit will arrange brain training game that are more relaxing. Assessment is another cool option which will tell you what are your brain's pros and cons. For example you can have great memory, but you also can be bad at concentration. According to the results of various games, it will tell you which brain skills you need to improve, and which brain skills are your best weapon. You can also buy and play various applications according to your interests. So if you need brain training in order to improve your mental abilities and stay sharp give a try to this great site.